Dr. Huet is a graduate of the University of Texas Dental Branch at Houston, where she received numerous awards for her academic excellence. Following dental school, she completed a hospital general practice residency at the VA Medical Center in Houston. She is currently teaching part-time on a volunteer basis at at the University of Texas Dental Branch. Always striving to be at the top of her field, she is continually learning about the newest technology and procedures from the top clinicians in the world. This includes ongoing advanced education annually at the world renowned Pankey Institute for Advanced Dental Education. She has been granted a Fellowship at the Academy of General Dentistry and a Fellowship at the International Congress Of Oral Implantologists. She attends 100-200 hours of advanced education annually while the state requirement is only 12 hours. She served in the US Army Reserve for 13 years ( as a dental assistant, dental lab tech and finally a dentist) and was deployed for both the Gulf War in 1991 and The Bosnian Mission in 1996. 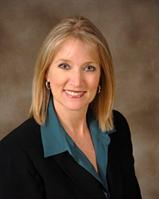 Dr. Huet has lived in the area for over fifteen years with her husband, Alan and 2 children, Marc and Annie. The Huet family are members of The Woodlands United Methodist Church. Services We provide family and cosmetic dental services in a beautful and modern atmosphere.